An unaltered photocopy of your Report of Separation (DD-214, WD AGO, NAVPERS or NGB22) along with any military-issued document establishing your vessel's Naval Excellence Award(s). 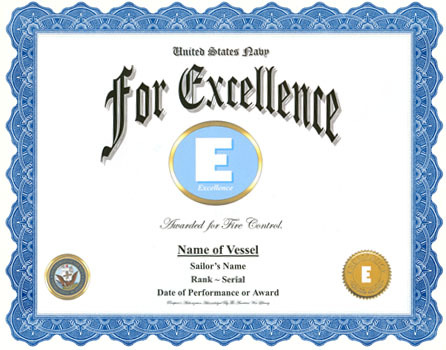 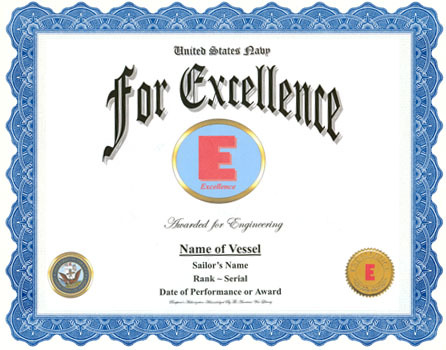 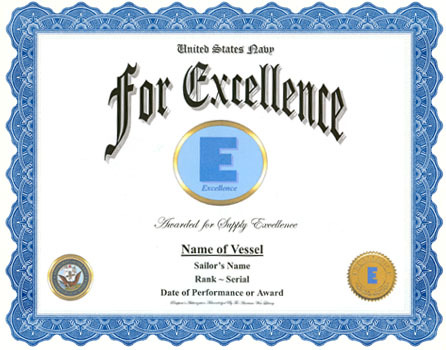 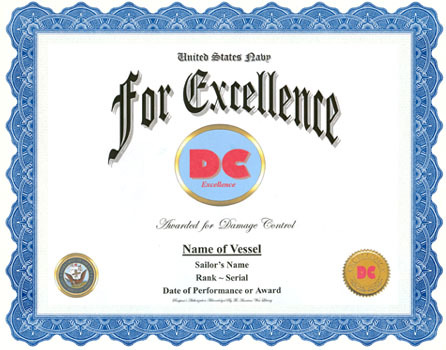 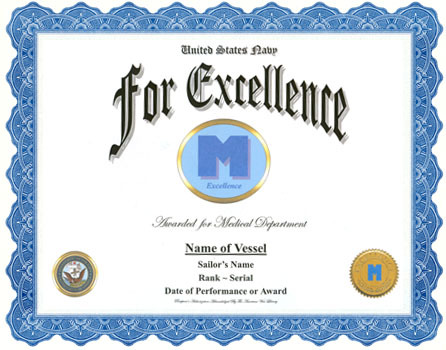 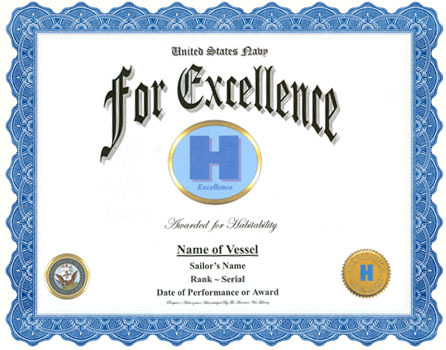 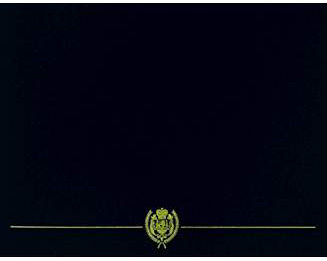 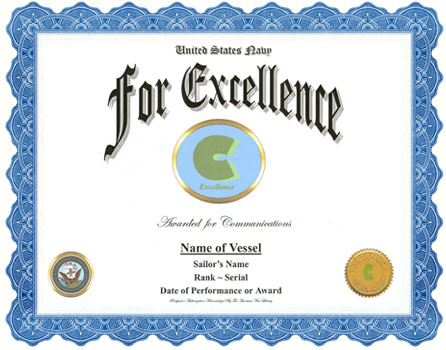 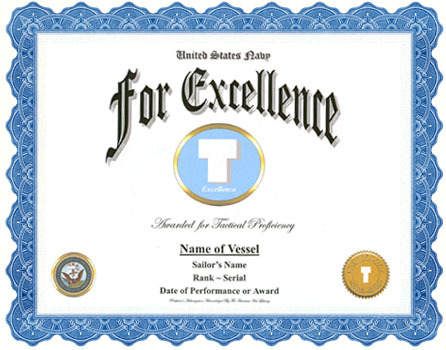 Authorized to Naval vessels for accomplished Excellence. 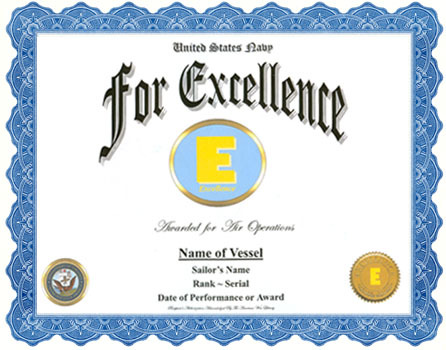 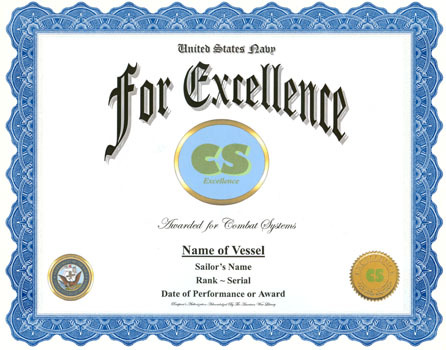 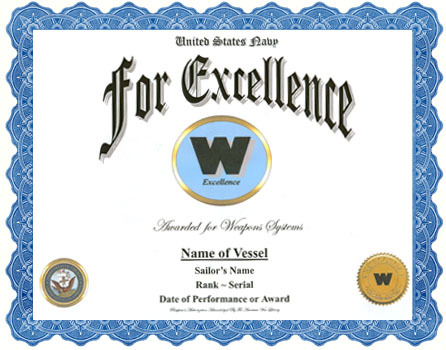 Award notice is shared by sailor's who served on vessel during award period.